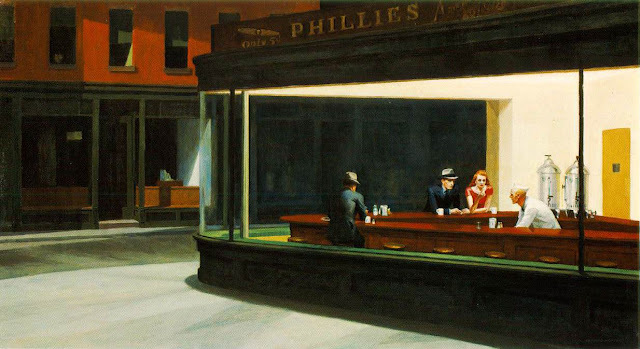 I’m currently inspired by Edward Hopper’s works. The melancholic aesthetics of his paints always make me want to stare at them and reflect, contemplate about the particular piece and how the emotion it evokes somehow relates to my everyday life. 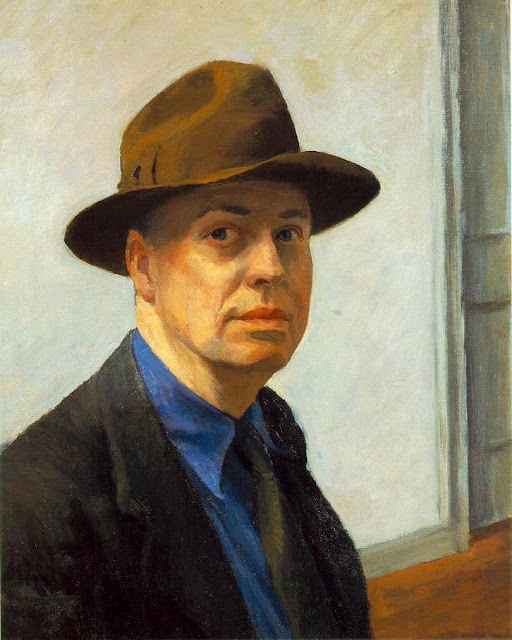 A prominent American realist painter and printmaker Edward Hopper has always pursued the oddness of the mundane. 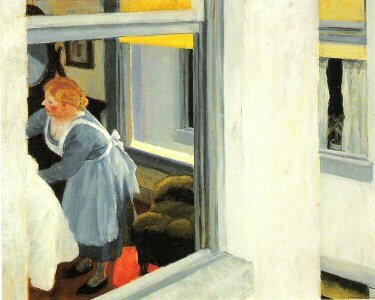 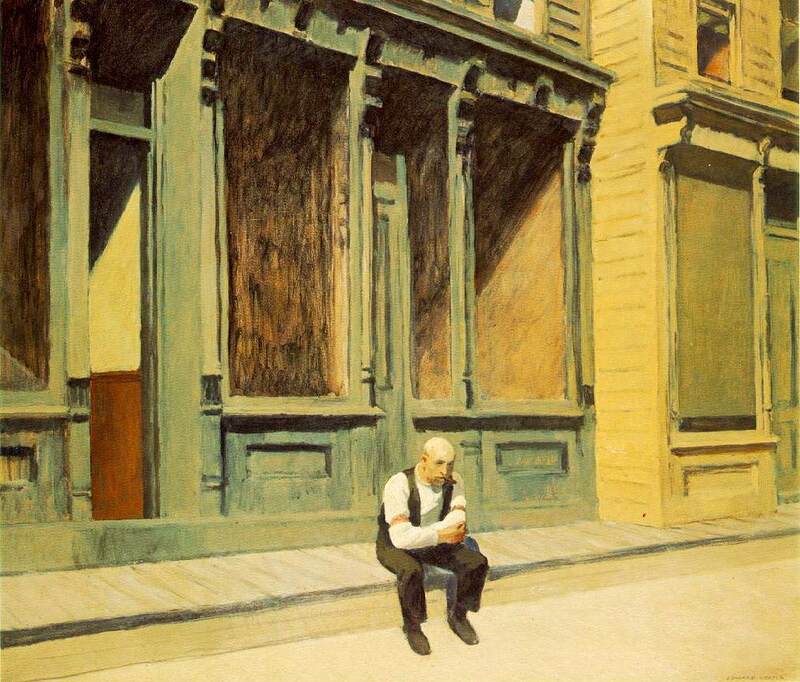 The carefully placed people from Hopper’s works are always looking withdrawn and mostly anonymous. Even clustered in a group each individual is separated from the next. There’s always a feeling of isolation from each characters. 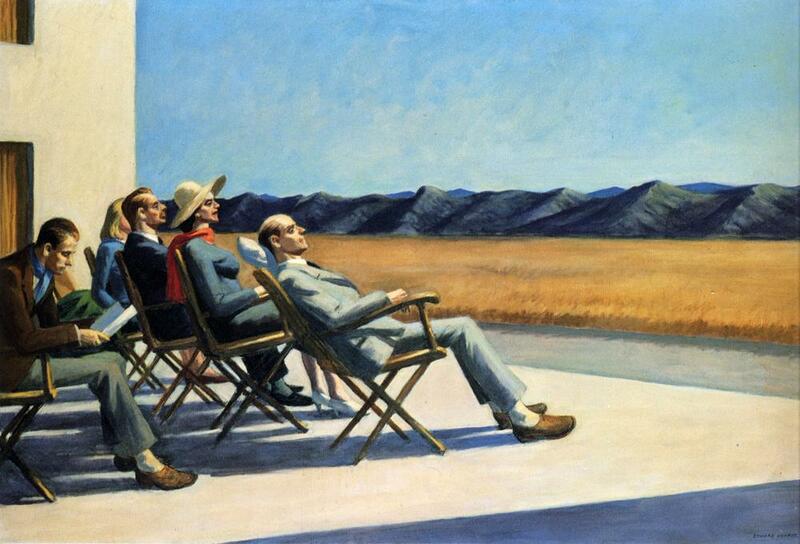 The unexpected beauty of the everyday life along with its banality and ugliness are always presence from his works. 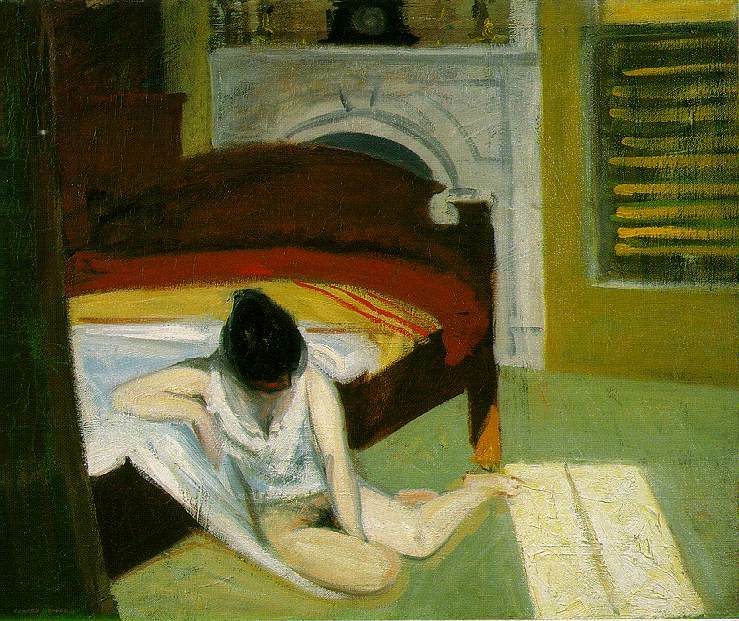 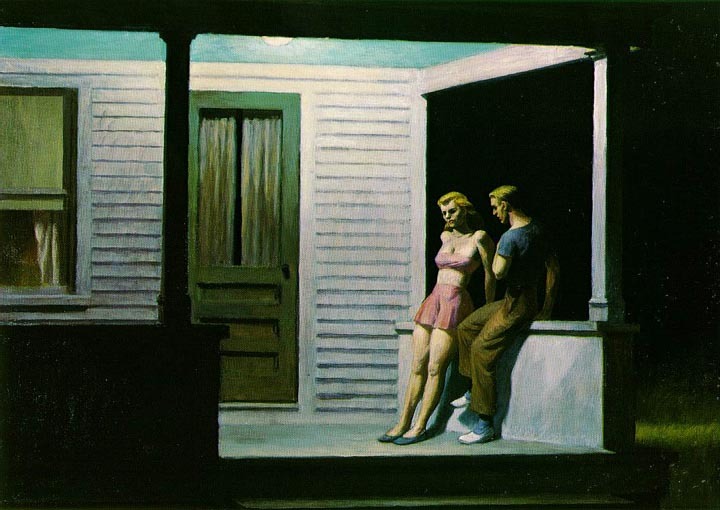 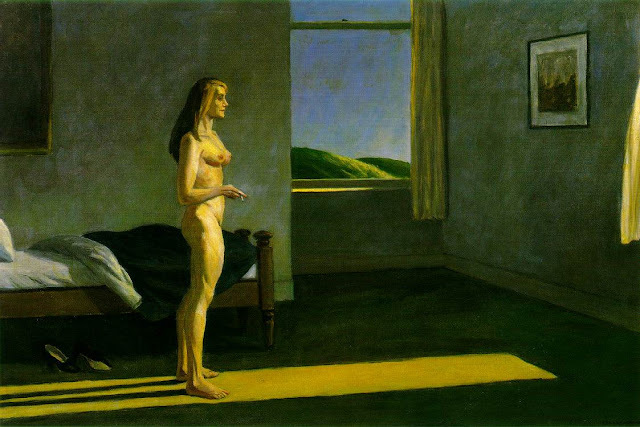 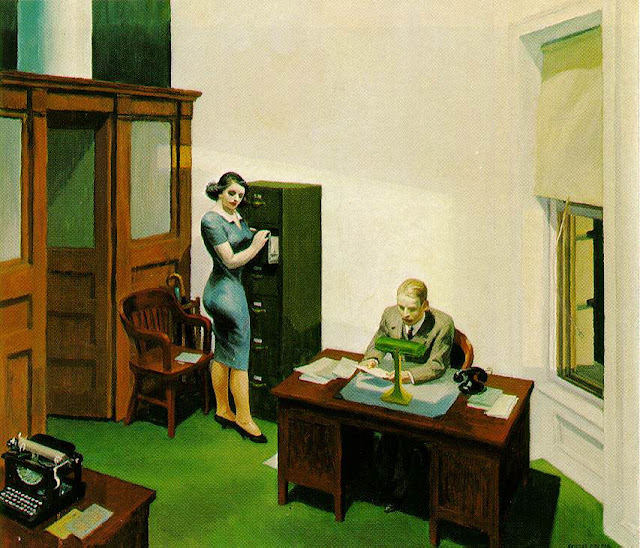 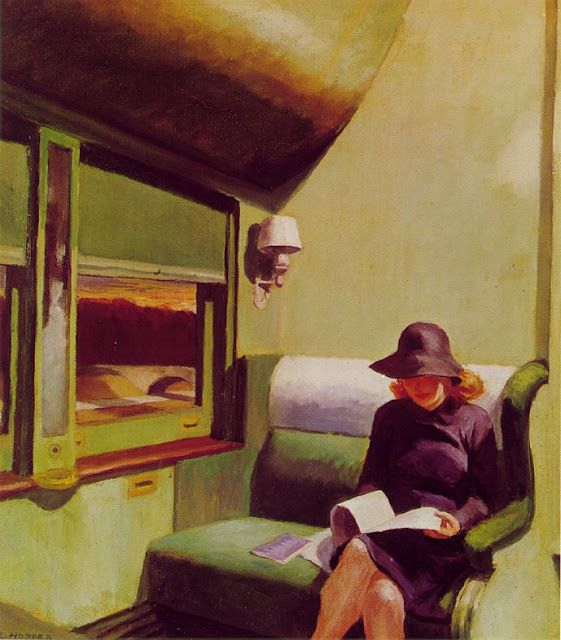 With great attention to geometric design, Hopper used the light and shadows effectively to set mood. 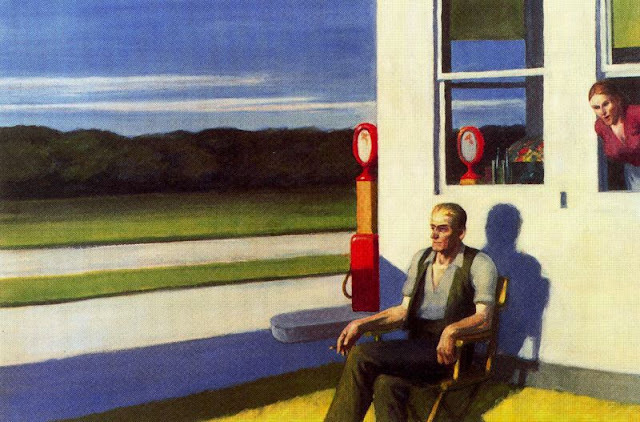 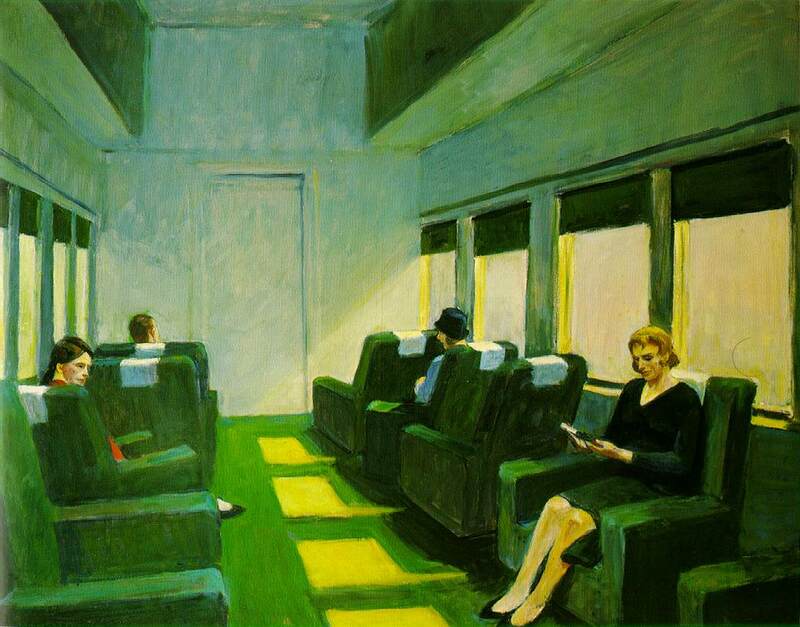 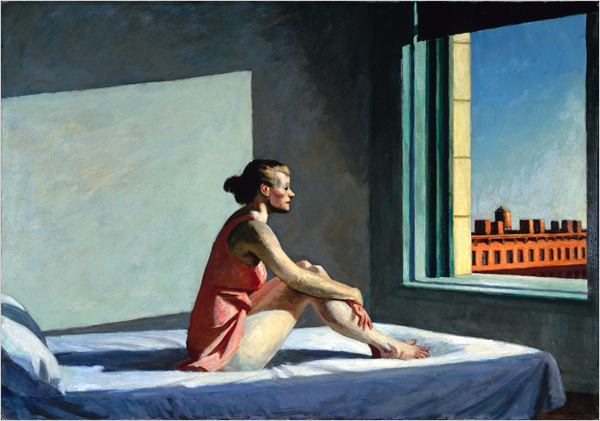 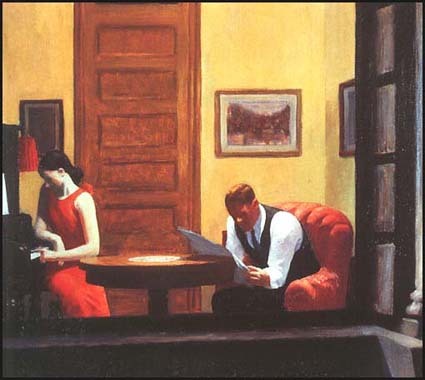 Highly influenced by the writing of Ralph Waldo Emerson, Hopper’s dramatic composition influenced a lot of great filmmakers like house in the Alfred Hitchcock’s ‘Psycho” was based on Hopper’s “House by the Railroad”, Hopper’s “Nighthawks influenced Terrence Malick’s “The End of Violence” and Dario Argento’s “Deep Red”. 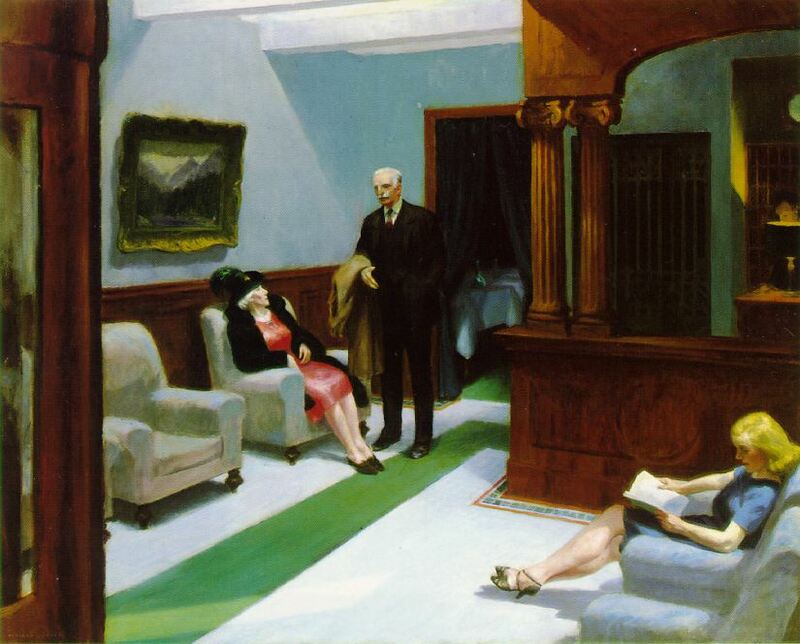 In 1993, Madonna was inspired sufficiently by Hopper's 1941 painting Girlie Show that she named her world tour after it and incorporated many of the theatrical elements and mood of the painting into the show. 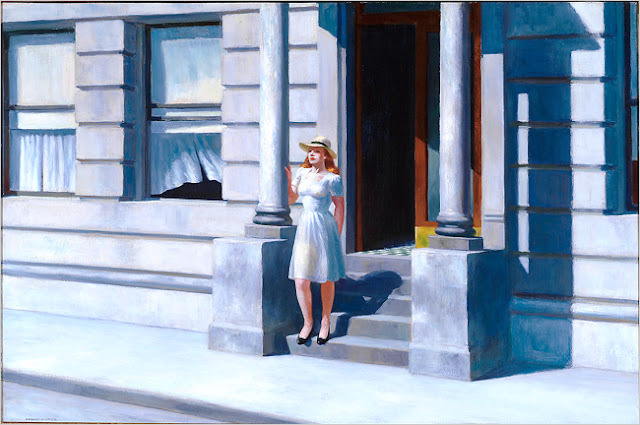 "A WOMAN IN THE SUN"